Notes: 3 in 4 American adults claim to be very or somewhat concerned about having too much personal information about them online. The majority of respondents have little to no trust in social media sites, and 6 in 10 believe it likely than social networks sell their contact information. About two-thirds are concerned that social networks sell their personal data; similar proportions are concerned that websites (70%), online service providers (63%) and apps (67%) sell their information. Which Content Categories Are Being Shared on Which Social Networks? Social sharing via mobile devices continues to the rise, with sharing from smartphones and tablets in Q2 growing by 19% from Q1, when they first accounted for a majority of social sharing actions (sharing of website content such as articles, photos and videos via social networks). That’s according to the latest quarterly report from ShareThis, which aside from detailing a host of interesting data related to mobile sharing, also contains some intriguing figures concerning the types of content categories that are being shared on various social networks. Pinterest generates a whopping 226% more Shopping content sharing activity than average, with Facebook (-17%) and Twitter (-43%) both under-indexing in this category. Pinterest, Tumblr and LinkedIn made major successful pushes last year to increase engagement on their mobile sites and apps. 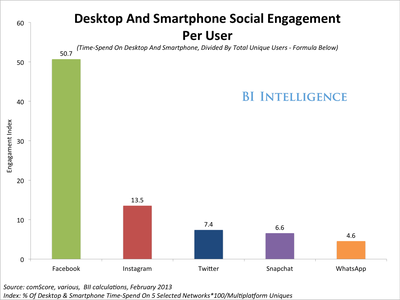 The new race in social media is not for audience per se, but for multi-device engagement. Multi-device social media: Our analysis is based on BI Intelligence’s social media Engagement Index, which compares the effectiveness of social networks in keeping individual users engaged across smartphones and desktop PCs (for an explanation of the Index, sign up for instant access to BI Intelligence). When it comes to formulating a social commerce strategy, knowing which social networks have the most influence on retail purchases, and what types of merchandise consumers are looking for on different social networks, should help retailers attract more customers. Shopify, which provides e-commerce services to small- and medium-sized merchants, analyzed 37 million social media-referred visits to 90,000 online storefronts. Only 1.4% of those social-referred visits converted into a sale, but as we’ve said before, social media isn’t a particularly effective channel for closing sales. Rather, social media excels at the early stages of the shopping process — “top-of-funnel” activity — when consumers are still browsing and researching products. The data does not account for consumers who return to sites later to complete a sale, after an initial social network referral occurred. Nonetheless, Shopify’s analysis does shed light on which social networks are driving sales for certain types of merchants. It is also a good indicator of which social networks are strongest for top-of-funnel retail activity as well. 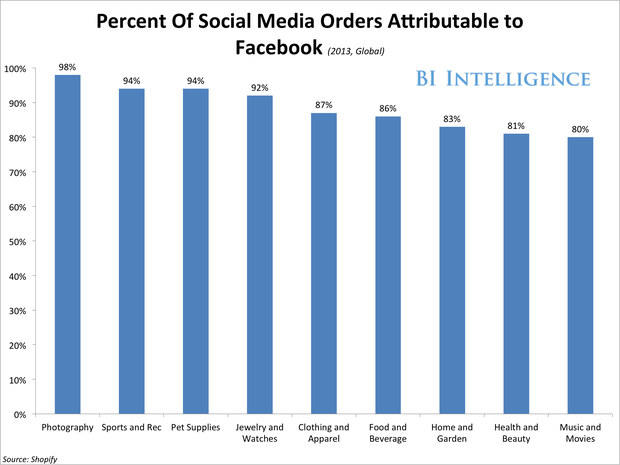 Facebook accounted for nearly two-thirds of all social media visits to Shopify stores, while Pinterest came in second with 13% of visits. Approximately 85% of all completed sales that originated from social networks came from Facebo! 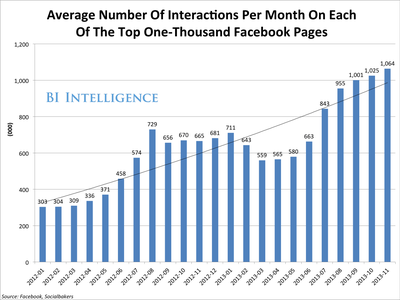 ok.
Certain industries saw nearly all their social sales happen on Facebook. These industries include photography, sports and rec, pet supplies, and jewelry and watches. It’s not surprising that the world’s largest social network accounts for the majority of social media-referred sales across industry. 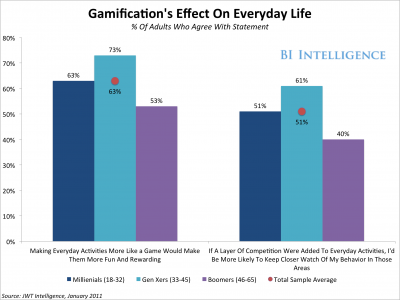 Perhaps more interesting is which secondary social networks are emerging as sales drivers. Here, differentiation is more apparent by industry. 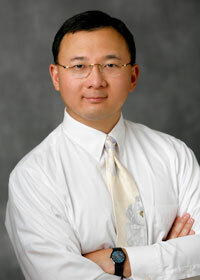 Nearly three-fourths of social media orders for antiques and collectibles originated from Pinterest. 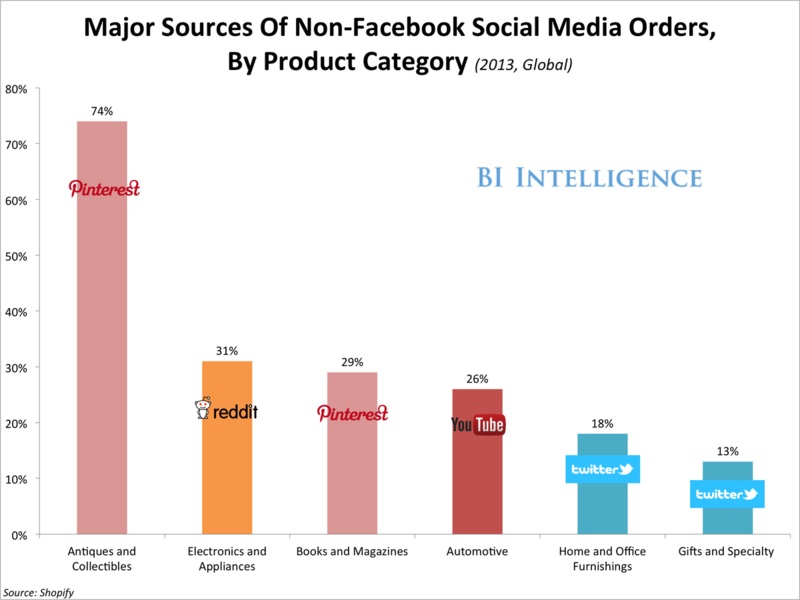 Almost one-third of social media orders for electronics and appliances were referred by Reddit. This is likely a result of Reddit’s roots as a niche site for developers and technology professionals. Shopify notes that orders from Reddit across all types of merchants increased 152% in 2013. The findings indicate that merchants of all types should have a Facebook presence. As for what other social sites make sense for a given retailer, there is variation by product. Some of the more electronics-based stores might want to take a look at Reddit. Pinterest is solidifying itself as a major social commerce player, just behind Facebook. However, its value for small- and medium-sized merchants fluctuates across product categories. This still put mothers ahead of Allrecipes.com participants overall in terms of their receptivity to following brands on social. More than seven out of 10 total respondents said they did not do this. But that doesn’t mean mothers aren’t inclined to share their preferences and recommendations at a reasonably high rate—it just may be on their own terms. A July 2013 Burst Media survey of US mothers on the web found that across all age groups, well over half of respondents posted about products or services on social media. And about 70% of the youngest mothers surveyed—those between 18 and 34 years old—did so. Shopping and retail ecommerce sites were also popular places for sharing opinions on products or services. The Allrecipes.com survey found that a major incentive among mothers who did follow brands and stores on social was to receive discounts or special offers. Seventy-one percent of those who followed a brand socially said they di! d so for the discounts, and 69% did so to receive special offers. Similarly, Burst Media’s research found that 56.1% of mothers surveyed shared coupons or incentives on social, a significantly higher rate than followed brands on social media. Of these coupon-sharers, more than one-quarter posted about coupons at least somewhat frequently. Mothers are on the web scouring for deals and discounts, and they want to share what they find with others. They might not be overwhelmingly inclined to passively endorse a brand or store on social media, but with the right incentive, they’re much more likely to spread the word around. If social commerce is ever going to fulfill its ambitions, it must go after all parts of what is known as the consumer purchase funnel. The classic funnel might be divided into three main stages: consumers discover new products on Facebook or Pinterest, then form an opinion, and finally move on to the purchase stage. Social commerce is all about inspiration and product discovery, but entrepreneurs and retailers are anxious to transform that interest at the “top-of-the-funnel,” into sales. In a new report from BI Intelligence, we analyzed the most recent data and spoke to leaders in the social commerce space to understand how their companies are adding value at different stages of the retail and e-commerce purchase funnel. To do so they’re building social networks around e-commerce platforms, partnering with brands, or otherwise transforming social commerce’s strengths in Pinterest-style digital window-shopping into a clear value proposition. What will help social commerce grow as a sales driver? The key is to help connect the funnel end-to-end, or to connect different mediums — say, social media and TV — to help coax a consumer down the funnel. There are a few ways to encourage purchases: Retargeted advertising may be one missing link. It enables social commerce to connect the sales funnel from end-to-end by serving ads that remind users of products they have browsed across the Web but have not yet purchased. So far, only Facebook has developed this capability. Also: Clever merchandising and user interfaces allow for sticky merchant-to-consumer relationships that can help nudge a consumer toward purchase over time. Finally, referrals shouldn’t be discounted: Another solution is for social commerce to develop as a sales referral engine, and take a cut of the sales. If social commerce sites have a large enough audience, even a low referral and conversion rate will result in a good revenue stream.